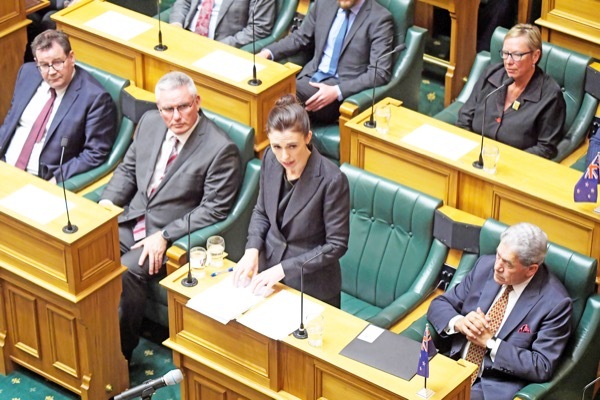 CHRISTCHURCH: New Zealand Prime Minister Jacinda Ardern vowed Tuesday never to utter the name of the twin-mosque gunman as she opened a sombre session of parliament with an evocative “as-salaam alaikum” message of peace to Muslims. “He will face the full force of the law in New Zealand,” Ardern pledged to grieving Kiwis, while promising that she would deprive the man, an avowed white supremacist who slaughtered 50 people in Christchurch, of the publicity he craved. “He sought many things from his act of terror, but one was notoriety,” she told assembled lawmakers of the 28-year-old Australian accused of the slaughter. “The majority of people still have not had the opportunity to see their family members,” he told AFP. Mohamed Safi, 23, whose father Matiullah Safi died in Al Noor mosque, pleaded for officials to let him identify his father get a date for his burial. “There’s nothing they are offering,” Safi, an Afghan refugee, said outside a family support centre. “The terror attack in Christchurch… was the worst act of terrorism on our shores, it was in fact one of the worst globally in recent times,” she said. Ardern vows killer will face ‘full force of law’ 0 out of 5 based on 0 ratings. 0 user reviews.